Dylan Fraychineaud— Bill O’Brien: Since 2010, the winner of this award has coached his team to an average of 12.5 wins. The best place to start when looking for a potential winner is at the bottom of the previous season’s standings. Houston seems like a team poised for a big turnaround. Deshaun Watson returns at quarterback, and their defense welcomes back J.J. Watt as well as newcomer Tyrann Mathieu. The Texans are fully capable of winning 10 or 11 games, which would be a 6 to 7 win improvement on last season. O’Brien is the most likely candidate due to his teams chances of returning to the postseason. Harris Ahmadzai — Bill O’Brien: Sean McVay turned the 2016 last-place offense into the most prolific attack in all of football in just a year. I could see a similar tide change with Texans and their defense in 2018. Houston gave up more points than anybody last season, but are plenty talented on that side of the ball. With Deshaun Watson and J.J. Watt back, O’Brien will have Houston pushing for a playoff spot, leading to a 5-6 win increase from their 4-win total last season. Dylan Fraychineaud — Saquon Barkley: There are many candidates for Offensive Rookie of the Year. QB’s Josh Rosen, Sam Darnold, and Baker Mayfield are possibilities. RB’s Rashaad Penny and Ronald Jones III can also challenge for the award. But at the end of the day, Barkley should come out on top due to his skill and opportunity. Rosen will not start from Day 1, Mayfield is locked in as the Browns No. 2, and Darnold is turnover-prone. Ultimately, I have more faith in Barkley to put up bigger numbers than Penny and Jones. Harris Ahmadzai — Saquon Barkley: I don’t see how Barkley can lose this one. The Giants are too invested in their No. 2 overall pick to not feature him heavily throughout the year. He’ll be in the top-5 in touches for running backs in the league, and is a dynamic runner that will have a handful of highlight plays that will take everybody’s breath away. One of the quarterbacks (my guess would be Sam Darnold) will give him a run, but Barkley’s usage and big play ability will put him in a league of his own. Dylan Fraychineaud — Roquan Smith: It took a while for Smith to get into camp, but the Bears newest linebacker has a chance to be special. I believe Smith will lead all rookies, and possibly the Bears, in tackles this season. In the end, Smith’s tackling prowess will get him the win over Bradley Chubb. Harris Ahmadzai — Rashaan Evans: Evans breaks the two-year streak of Buckeyes (Joey Bosa and Marshon Lattimore) taking home this award. The Titans were a stout defense in 2017, and will be even better with Evans, Harold Landry, and Malcolm Butler in tow. Evans is a speedy backer that can cover sideline-to-sideline, make plays in the passing game, and finish plays off with his enormous 6-foot-3, 230-pound frame. He reminds me a lot of Atlanta’s Deion Jones. 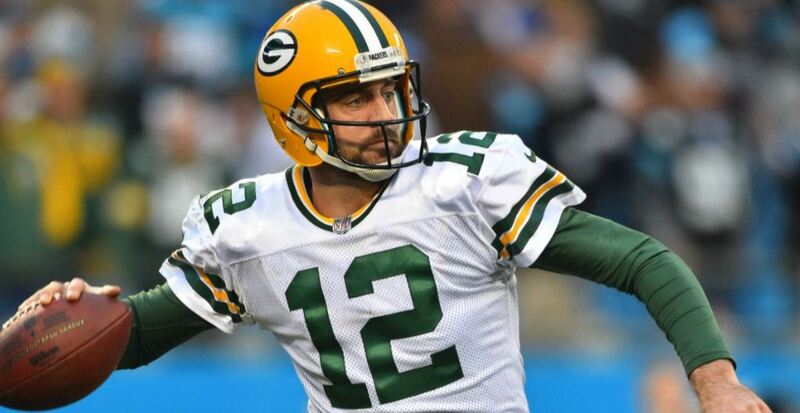 Dylan Fraychineaud — Aaron Rodgers: Rodgers is one of the two-or-three best players in the NFL — regardless of where his peers comically rank him — so it makes it easy to choose the uber-talented quarterback to win Comeback Player of the Year. Rodgers will finish second in the MVP race, an award he would much rather receive. Harris Ahmadzai — David Johnson: This might be the toughest race all season, with a surplus of worthy candidates. It feels a bit cheap to pick Rodgers after he played nearly half of the season last year. Julian Edelman could be in the running if he wasn’t missing the first four games of the year. It wouldn’t be shocking to see Odell Beckham Jr. or Watt take this home, but I will settle on the guy that appeared in just one game last season. People seem to forget just how good Johnson was before getting hurt. The well-rounded back will be Arizona’s bell cow, and a top target for Sam Bradford (or Josh Rosen). It’s also relieving to know he’s coming off a hand injury rather than something to do with his lower body. He’s well rested, and ready to pick up where he left off in 2016. 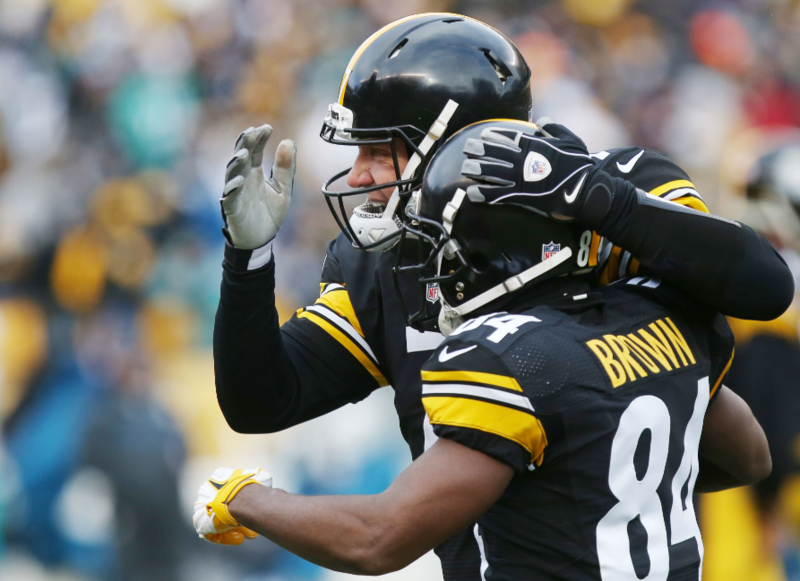 Dylan Fraychineaud — Antonio Brown: Quarterbacks should be ineligible for this category on account of the MVP bias. It is rather absurd that Brown hasn’t won this award over the past five years. The best receiver in the game, Brown’s ‘worst’ season was still worthy of consideration. I believe this will finally be the year Brown is recognized for his tremendous play. Harris Ahmadzai — Ezekiel Elliott: The safest bet you can make heading into the season is Elliott leading the league in carries. Over the past two seasons, no player has had more rushing attempts on a per game basis than the former Ohio State Buckeye (22.5 carries over 25 career games). With Dez Bryant and Jason Witten gone, expect an even heavier dosage of Zeke. After starting last season on the suspension list, expect Elliott to get off to a hot start and for the Cowboys to lean on him all year long. Dylan Fraychineaud — Joey Bosa: Defensive ends have been dominating this award, and this seems like the year Bosa nabs his first. Bosa is an elite pass-rusher, and should solidify himself amongst the greats in 2018. Bosa will be the leader of a great defense, racking up 17.5 sacks on his way to DPOY. Harris Ahmadzai — Aaron Donald: I really wanted to pick Jalen Ramsey following his epic GQ tirade on just about every starting quarterback in the league. However, a defensive back hasn’t won this award since Charles Woodson back in 2009. Perennial shutdown guys like Darrelle Revis and Champ Bailey never took home the award. Voters don’t care about how few catches you surrendered, they look at the counting numbers, and it’s going to be hard for Ramsey to rack up the interceptions with quarterbacks refusing to throw his way. Joey Bosa is an interesting pick, but I think a year early. J.J. Watt will split too much of the spotlight with Jadeveon Clowney. All of that is why I landed on Donald, who certainly had a strong case to receive the award over eventual winner Calais Campbell last year. With Ndamukong Suh keeping offensive lines honest, Donald could be in store for the biggest statistical season of his career. Dylan Fraychineaud — Tom Brady: Brady has nothing left to prove. A five-time Super Bow champion and three-time MVP, Brady could retire today and still be considered the G.O.A.T. One thing that Brady hasn’t done? Win back-to-back MVP’s. Coming off a devastating Super Bowl loss, I believe Brady is going to come out firing. Quarterbacks — especially ones that pile up wins — are generally the safest bet to win MVP, and I believe Brady has a few factors working to his advantage this year. I believe the Patriots will win more games than the Green Bay Packers, giving Brady the edge over Aaron Rodgers. Carson Wentz is another trendy pick, but it is not known whether he will be ready to start the season. If Wentz misses a few games, Brady will have the advantage of playing more games. Unless a running back or wide-out breaks the trend, I believe Brady will win his fourth MVP. Harris Ahmadzai — Drew Brees: It’s time for one of the game’s all-time greats to receive the recognition he deserves. Brees is an 11-time Pro Bowler, two-time Offensive Player of the Year, Super Bowl champion, Super Bowl MVP, has led the league in passing yards seven times, and has still yet to receive a single regular season MVP trophy. With the Saints firmly in contention for the Super Bowl in 2018, expect Brees to shine as he leads New Orleans to one of the top records in the league.